solid review man. i think i am going to try zorin. is it there a simple way to have a live USB ZORIN key ??? methinks to do the same ! is it comparable to mint? I'm AZorin from the Zorin OS Team. Thank you very much for the review and comments! Regarding the desktop switcher glitch, this happens when the Graphics card is not fully supported in Zorin OS. However this does not happen when you have 4 desktops. You can change the amount of desktops by going into Start>System>Preferences>CompizConfig and change the Desktop size in the General settings. Also we got rid of the desktop switcher panel applet to save space. A Beautiful System. Alot like Dream Linux but much much better. This is what you want to show people that think Linux is just a CLI and a few boxes. I cannot believe how quickly I was impressed with your distro. Kicked my Ubuntu installed right off my laptop, never to bee seen again. As I don't have a DVD-RW drive thats a minus for me. How abouts putting up a 'lite' version for us CD-RW peeps? 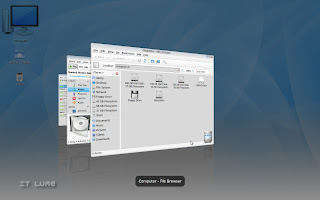 You can use it on a USB instead of a DVD using a program called UNetbootin. Thank you for all your comments, peeps! "is it comparable to mint?" Well, in the sense that it takes Ubuntu and adds more out-of-the-box functionality, yes, it is comparable to Mint. Other than that, they are pretty different. Zorin might be just what I need to bring a few of them Microsoft Windows users over to opensource. 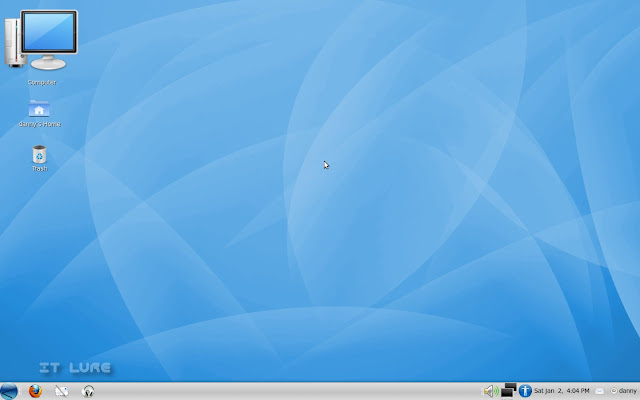 I just need it to run Microsoft Office in Ubuntu I can't run MS Office without installing windows XP in Sun's virtualBox. Yes, I know OpenOffice blows MS Office 2000 away but, them MS users don't take changes well. We need Linux to be able to runs all Windows software, I have not found WINE able to do that yet. Great OS though I will be downloading it and giving it a spin. 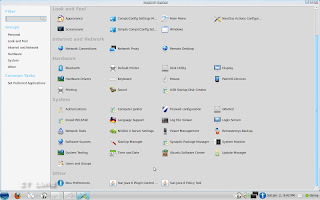 i installed Zorin on a HPCompaq DC5700. Monitor is a Dell 24 inch. The screen goes not higher than 800x600. Not abble the find new hardware. 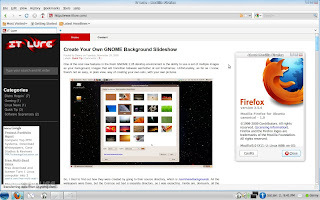 Great Distro I like the desktop very well because of the task list that is gone with the button showing how many programs are open, and I am a 64 bit user and Zorin 2.0 64 bit is the best i have seen so far for proformance and amazing graphics. make it support Canon Printer Drivers "out of the box". If done, ZORIN will be the first linux distro to support Canon Printers. I've intended download a few windows software in zorin but got nothing so,I think wine is no working as it should. Hi, I'm Zorink from the Zorin OS Team. 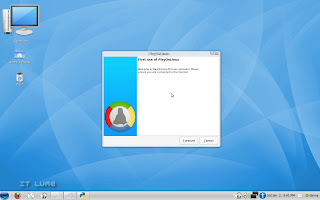 To all of you who can't get WINE to work try using playonlinux which is installed in Zorin OS. It is in the games section in the menu. I have installed Microsoft Office with it and it worked perfectly. In playonlinux just click install and then select the program you are trying to install. Then just follow the wizard and it should install the software for you. 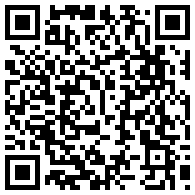 If you have any more questions you can contact us on our website (www.zorin-os.webs.com). 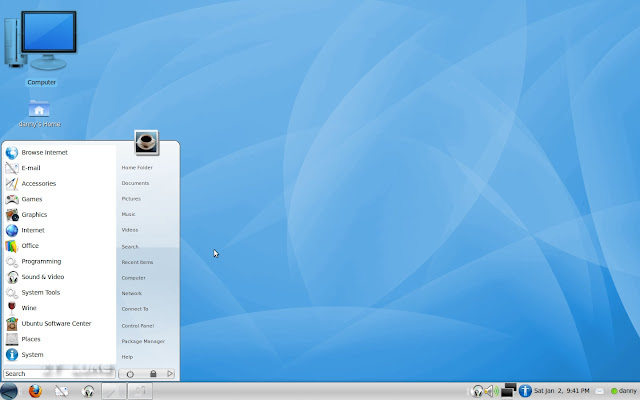 Over the past few weeks I have tried about 10 of the most popular linux disrtos as listed on distrowatch. This is the only one I have tried where I could install Nvidia drivers (FX5200) and set the resolution/refresh rate etc to want I wanted and the image was still centered. Also it has not crashed or frozen after a lot of fooling around. It's also easy to update, and install/unistall software. The installation also went smooth and the partition manager was straight forward to use. This is the the most useful distro I've seen. Whishing you all you Zoriners the very best and thanks. I am amazed at the quality of Zorin OS 2.0.It's now my default distro.Congratulation on a job well done. Installed it on my Macbook last night; pretty nice, but a few glitches. 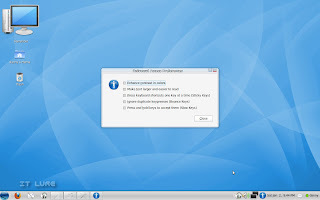 I had OS/X (10.6), Windows 7, and Ubuntu on the drive already; when I went to partition the drive I chose to shrink the Win7 partition to make room for Zorin, and at some point was asked if I wanted to login with no password, or with password, or with password plus encryption on my home folder. I chose the encryption folder, and the partioning/installation failed with no warning. I tried the install again; same results. Eventually the partitioner got confused and I had to manually sort things out, and this time around I left the encryption turned off, and the install completed successfully. The wireless card was not recognized until after install and an update/upgrade and a manual installation of the bcm...-source package. I can only get 600x480 resolution, and only one desktop. The login sound plays too long, but I can change that., and I had to tweak power settings, but that was easy. Other than these things, I've been very impressed so far. i think i am going to try zorin. Hi. 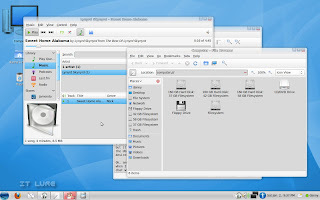 If you liked zorin, try YmlF OS, a Chinese Ubuntu's respin which is more workable and efective than the *buntus or mint, within the lower 384 MB RAM's target. In fact, YmlF WORKS. You missed something important, there. 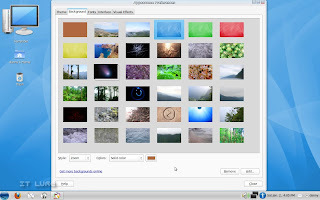 you can adjust the size of the icons by right-clicking the icon, selecting 'Stretch Icon' and make it any size you want. Also, you can make zorin look like pretty much any os. I have zorin and i think it rocks. However, i found some online reviews that say that it buggers up your hdd when you install it. "Also, you can make zorin look like pretty much any os." Well, of course, but the purpose of these articles is commenting upon how the developers of a certain distro decided to "ship" their products to users. "You missed something important, there. you can adjust the size of the icons by right-clicking the icon[...]"
I don't think it's that important, given the fact that that is a feature of GNOME and not of Zorin. Oh, you probably think that I was complaining about the icon's size, but I really wasn't, I was just expressing my surprise. :) I really didn't mind it, I think it's a touch of originality. Well, thanks a lot for the comment and have a great day! Great work applause to the team. No time to rest now, go back to the Zorin cave and hammer out the one true all inclusive Zorin 3.0 that changes os history forever. It might be simpler than PCLinuxOS, which claims to be radically SIMPLE, for the new users. But, is it very stable?! how i get zorin without download? Where are you from? I don't think Zorin offers free CDs like Ubuntu, but if you really want an ISO, I will try and ship one to you. Linux for Downies. Herp derp. 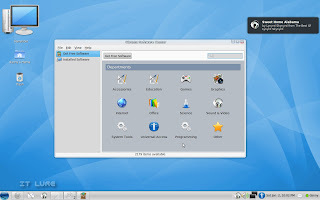 From DistroWatch: "Zorin OS also comes with an application that lets users run many Windows programs." OMGamazing!! Where else would I ever have found such a thing? !